The latest published studies in Melanoma Research, a medical journal, dated October 2015, claim that Rigvir® is able to raise the survival rates of virotherapy patients 4.39–6.57-fold . Now you may be asking yourself about the reasons for such success rate. Let’s find out. Riga virus (Rigvir®) was designed in the middle of the 20th century by Aina Muceniece, an immunologist from Latvia. She discovered ECHO-7 virus in babies digestive system, and it became the key component of Rigvir®. The invention of the drug marked an advent of a new cancer treatment method, virotherapy, which is fully based on applying oncolytic viruses. Wondering about how Rigvir® fights tumours? 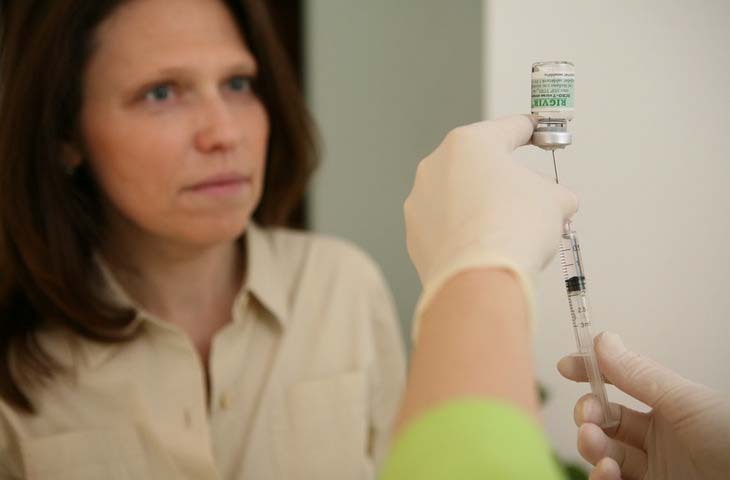 It’s that simple: the medicine is injected into your body detecting malignant cells. Then oncotropism takes place – the process of penetrating inside a cell. Once inside, Rigvir® eliminates the cancer cell and travels to another one killing the entire tumor. A unique feature of Rigvir® is almost no side effects. The only after-effect reported was a temperature rise up to 37.5°C/99.5°F that lasted for 3 days. Another reason why an increasing number of cancer patients refer to Rigvir® is that it leaves your healthy cells untouched. This means virotherapy may be applied as the only cancer treatment option as well as a supplement to radiotherapy or chemo. If you decide to go for virotherapy to treat glioblastoma, note that Rigvir® is registered only in 3 states: Latvia (2004), Georgia (2015), and Armenia (2016). Latvia remains the prominent direction for Rigvir® sale being the most frequently visited virotherapy location throughout Europe. 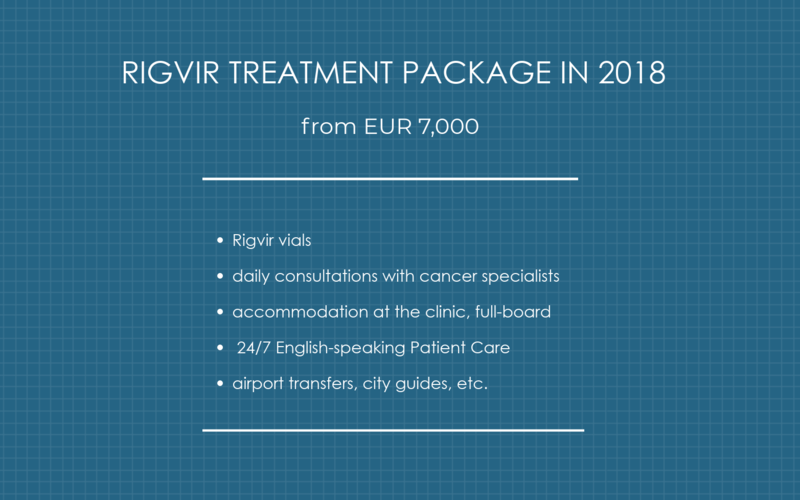 On receiving the confirmation of your candidacy for Rigvir® therapy, you’ll also receive further details so you can start planning your trip to Latvia for treatment purposes. If you or someone you know would like to qualify for Rigvir® therapy and inquire about the cost estimates, click the button below and fill in the form on the right. We'll get back to you within the next 24 hours.